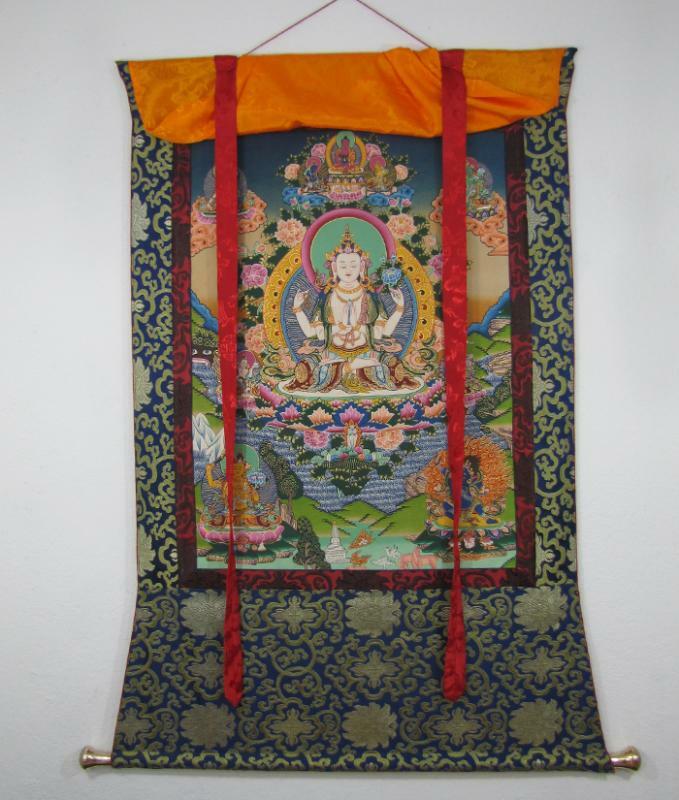 Nepalartcraft.com can make silk framing on each of the thangka painting purchased from our site. 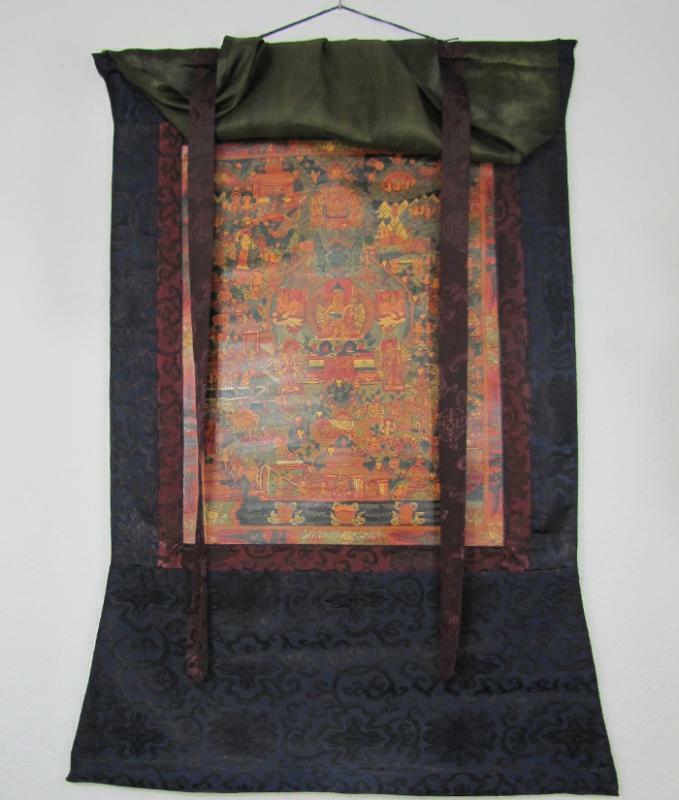 Silk bordering on the thangka is traditional in Tibetan or Nepali Buddhism. In each monestary or house in Tibet or Nepal, the thangka painting is silked framed and hanged on the wall or place of worshipping. 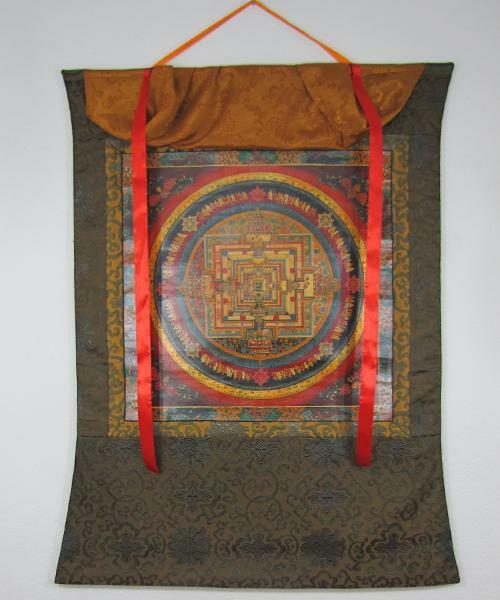 There are various colors, types of silk can make border on Thangka painting. 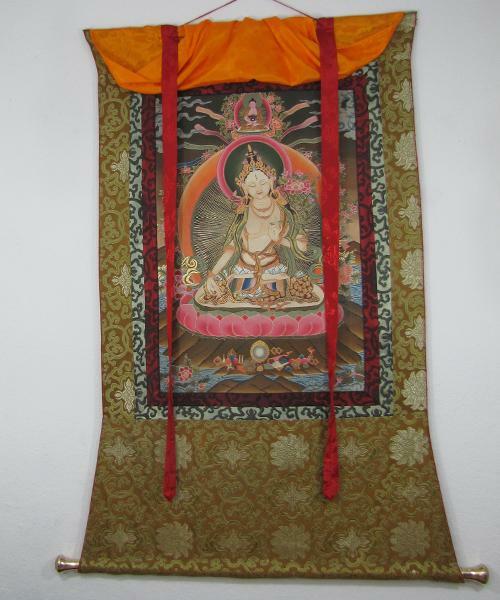 Mostly the color is choosed by the color of particular thangka. If Thangka is more with blue color type, it match more with blue color lining. Similarly if it has more red color, Thangka looks more beautiful with red border.